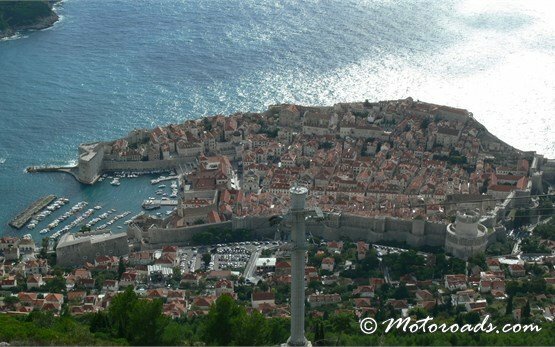 The Croatian city of Dubrovnik is located on the beautiful and historic Dalmatian coast of the Adriatic Sea, 229 km south of Split and 600 km from Zagreb. Widely considered to be one of Europe’s most outstanding cities, Dubrovnik enchants every visitor with its solid walled medieval town with ancient palaces, marble-paved squares and streets, baroque buildings, Renaissance churches set against modern hotels, stylish bars, bustling eateries and the endless shimmer of the Adriatic. 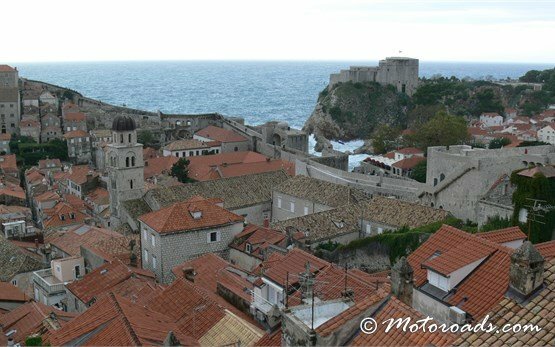 As one of the 10 best medieval walled cities in the world, Dubrovnik's historical and architectural significance has been recognized by UNESCO, which has placed it on its list of World Heritage sites in 1979. 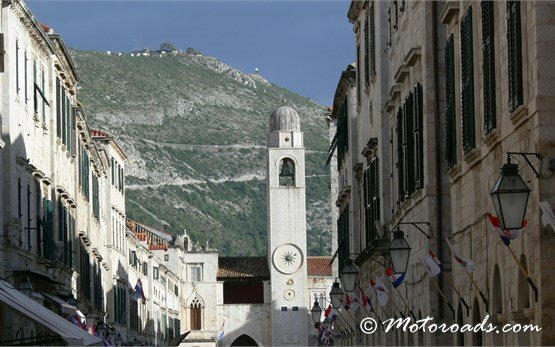 It is not difficult to see why Dubrovnik is Croatia’s most popular tourist destination - a seamless blend of rich history, Mediterranean elegance, lively seafront bars and cafés, assortment of azure beaches and the islands of Dubrovnik’s Adriatic Riviera just a short distance away by a hire motorbike. Moreover, Dubrovnik is a great starting point to experience the winding scenic roads along the Croatian Adriatic coast on a hire motorcycle or plunge into the fruit scents of the fabulous Neretva valley, to enjoy the bird’s-eye views of the Adriatic from the Dalmatian mountains or discover the hospitality of continental Croatia and the exceptional beautiful National Park Plitvice Lakes. Dubrovnik is worth a visit at any time of the year, although spring and summer bring out the best in the city. 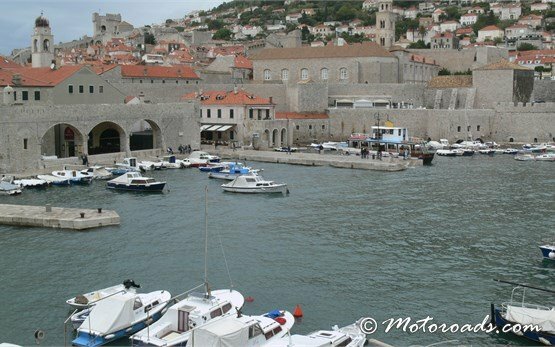 This is the busiest season for cruise liners as well and for the charter flights to Dubrovnik International airport (Čilipi Airport), which is located 20 km from the city center, so we strongly recommend booking your Yamaha motorcycle for rent in Dubrovnik well in advance. 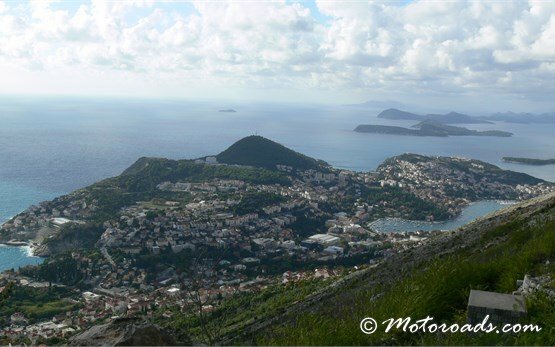 Hire a motorcycle in Dubrovnik and hit the road to the main tourist resorts of Cavtat and Župa Dubrovačka southbound or escape to the sparsely populated, semi-wild islands of Lopud, Koločep, Šipan and the green island of Mljet - one of the most beautiful on the entire Adriatic coast.